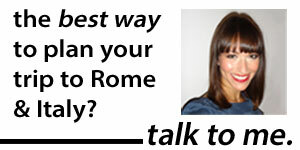 I’m thrilled to announce that the Guardian’s travel section has just launched its interactive city guide to Rome. 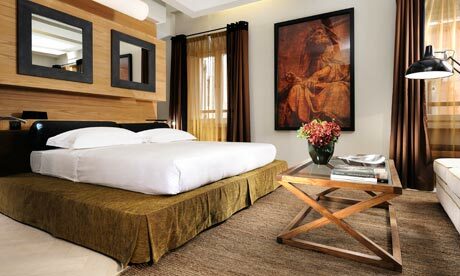 My contributions: the top 10 boutique hotels in Rome and 10 of the best pensiones and B&Bs in Rome. I pounded the pavement and visited, literally, dozens of places to make the final choices for these two pieces, so it’s safe to say I’m pretty excited about the lovely accommodations I wound up finding! 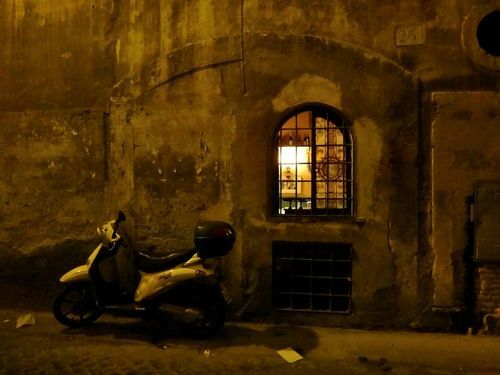 There’s also Rome’s 10 best pizza places by food writer Katie Parla, 10 of the best shops in Rome by the editor of the LUXE city guide, and much more—all with photographs and interactive Google maps to help you visualize where everything is. Sweet relief — in the form of homemade, artisanal gelato — has just come that much closer for those sightseeing in the Colosseum area. 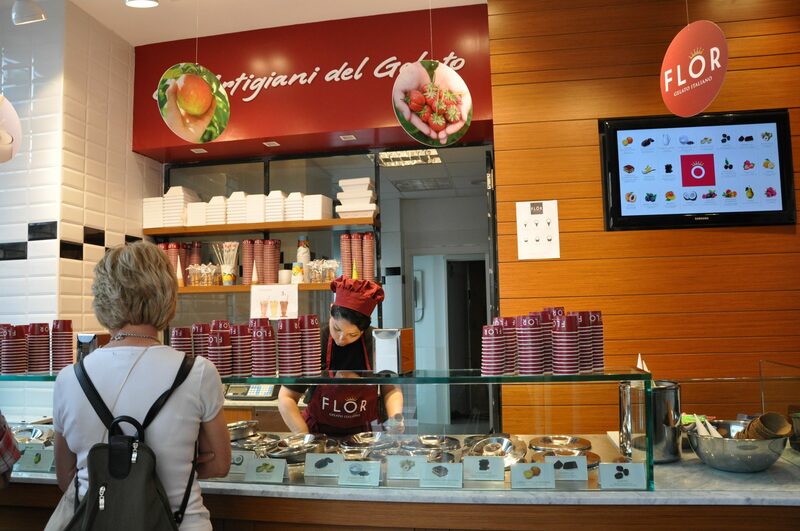 Right across from the entrance to the Roman forum, on Via Cavour, is "Flor," Rome's newest gelateria. Flor just opened in the last month, and I've already taken (several) tastings. 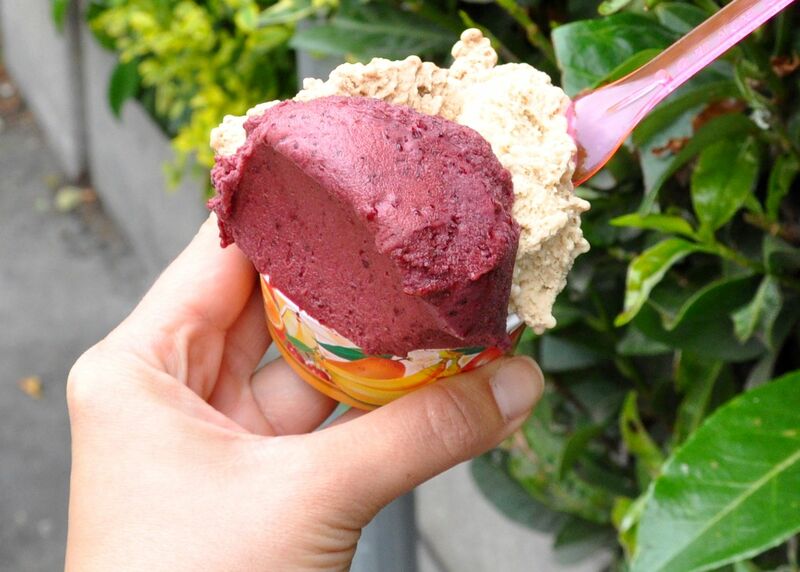 The good news: It's definitely good gelato. And it's made fresh on-site, always a absolute must huge plus. It's also a welcome addition to an area that previously, Sicilian pastry and ice cream shop Ciuri Ciuri aside, didn't have very many gelato options at all, never mind artisanal ones. That said, it's not the best gelato I've ever tasted. Some of the flavors don't have as much "kick" as I'd like, particularly the fruity ones (is pear really that hard to turn into gelato? Because time after time, I find gelaterias failing to deliver on their pear flavors). But others are definitely worth trying. My two favorites: the variegato all'amarena, a mix of creamy vanilla and cherry, and the fondente, a super-rich dark chocolate. Even if it's not Rome's best gelateria, Flor is still pretty darn good. Oh, and they have 3-euro milkshakes, too. You can bet I'm going back soon to try one. Flor. Located at the bottom of Via Cavour, just above where it meets Via dei Fori Imperiali, on the left. I'll go back soon for the proper address, but if you head up Via Cavour from the Roman forum entrance, you can't miss it. 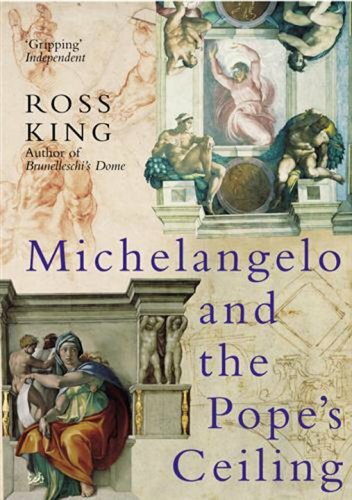 I'd always wanted to try L'Asino d'Oro, the Umbrian restaurant, run by renowned chef Lucio Sforza, that had made the leap from Orvieto to Rome's Montesacro neighborhood. But, somehow, life got in the way. Before I had a chance to try it, the Rome location closed. And then, this past February, L'Asino d'Oro reopened in Monti. A short walk from my apartment. I had no more excuses. This past weekend, I went for the first time. And it was so good, I went back again four days later for lunch. I can't recall any other restaurant in Rome–not Le Mani in Pasta, not Palatium, not even Roma Sparita–that's made me such an addict so quickly. Given the restaurant's glowing reviews and the elegant crowd inside (unsurprisingly, the restaurant was completely booked up), I had high expectations on Saturday. The meal, though, beat every single one. Dinner kicked off with two surprises: smiling servers (rare for Rome! ), and a little "taste" from the kitchen, a chicory and ricotta frittata drizzled with olive oil. 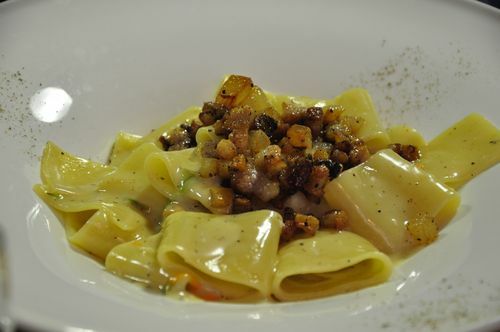 Then came the fettucine in a duck liver and Vin Santo sauce (€10), one of those bizarre-but-perfect pairings that you just don't find at your average trattoria, and scafata with fava beans, peas and chard (€9). Wild boar stewed in "dolceforte," a reduction of chocolate and red wine–kind of like an Umbrian version of mole (€15). And a super-tasty twist on zuppa inglese that was light, creamy and just sweet enough. I returned that Wednesday. I had to try their lunch: €12 for an antipasto, primo, secondo, glass of wine, and water. As I suspected, it just might be the best lunch deal in town. (Four-euro pastas at the Spanish Steps aside). For starters, the patio (shown at top) is a lovely choice on a nice day. The service is just as attentive as at night. The portions are smaller, of course, but just right for a lunch that doesn't leave you reeling. (Or rolling). The menu changes daily, and it wasn't quite as creative as what we'd seen at dinner. 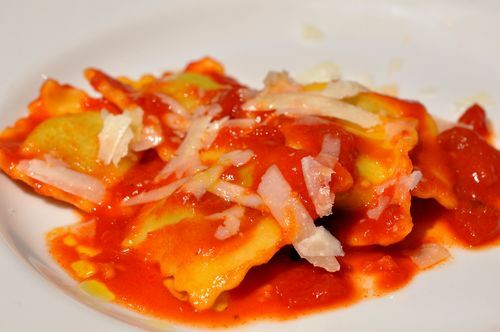 Still, it was delicious: pumpkin soup, ravioli with ricotta (below), and lamb stewed with artichokes. So there you are. Another top restaurant to add to your list, and a well-priced one, too. As for me, I'm just thrilled to have found a restaurant that replaces a once-upon-a-time favorite in Monti. Let's just hope L'Asino d'Oro doesn't follow the same well-trodden path. L'Asino d'Oro. 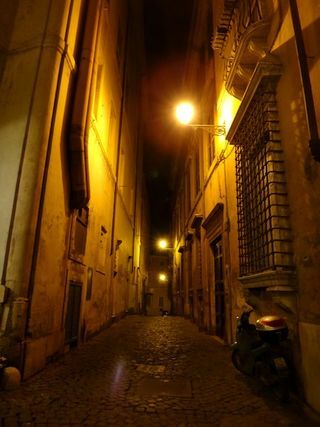 Via del Boschetto 73, Rome. Closed Sundays and Mondays. Click here for a map of L'Asino d'Oro's location. Once upon a time, I had a favorite restaurant in Rome. This restaurant wasn't five-star. It wasn't fancy. 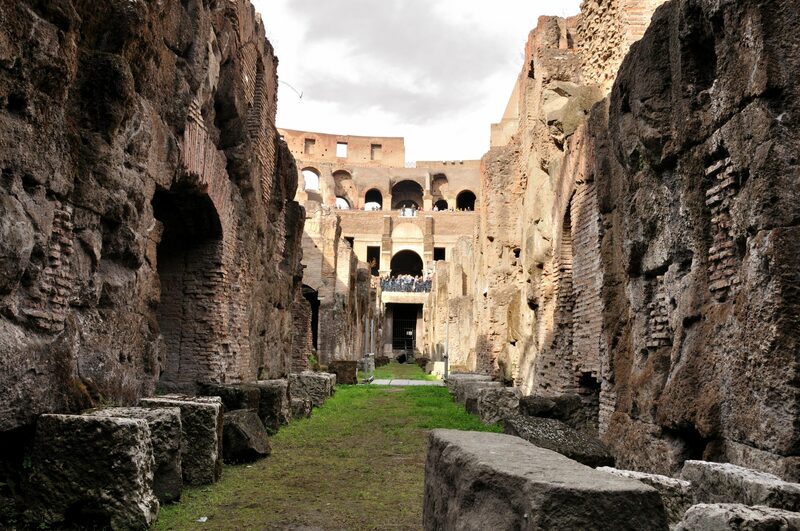 But it was everything you'd want from a Roman trattoria: Good, fresh dishes, particularly the pastas; dad cooking in the back, kids serving out front; convenient location (a stone's-throw from the Forum! ); moderate prices; checkered tablecloths. 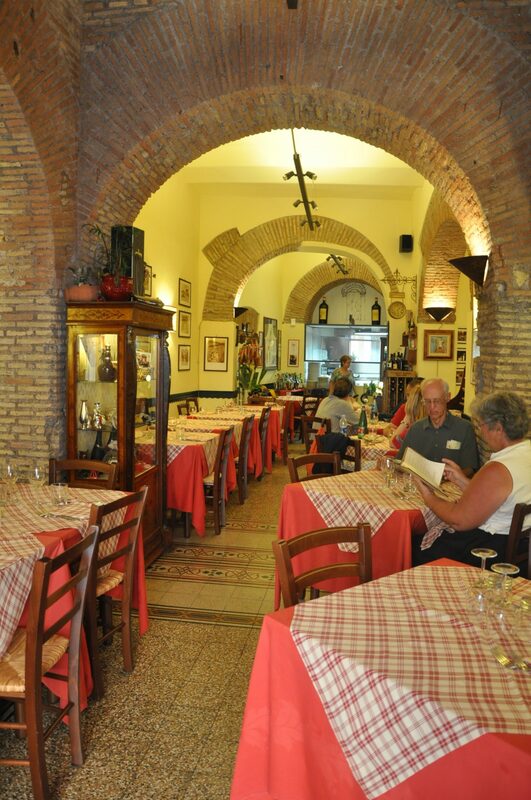 Sadly, this is also everything tourists, understandably, would want from a Roman trattoria. And where the tourists go, the quality flees — at least here in Rome. It's a sad story. But it's not a unique one. 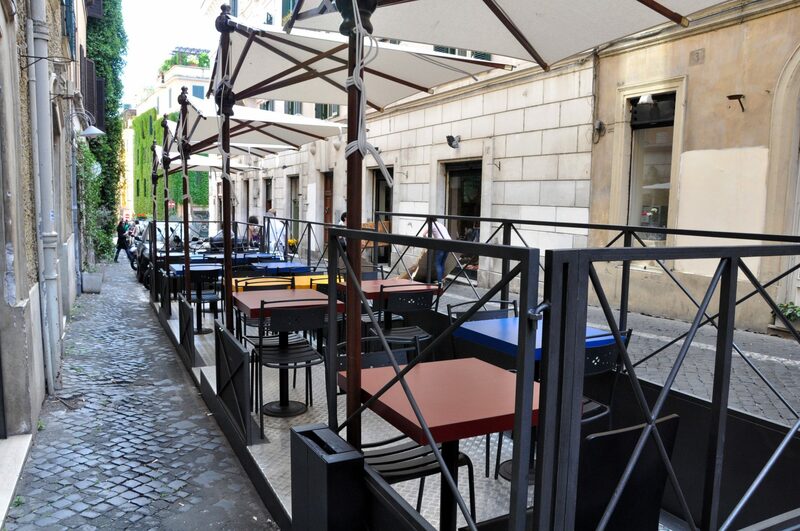 In fact, you see it again and again in Rome: A place becomes a local favorite. Then someone writes it up. Then it winds up in a guidebook. Then, just as the deluge of tourists really starts, once the place has really made it, once you'd think the owners might work all the harder to maintain that success and re-invest and be creative… that's exactly when the quality slumps. The cooks change. The servers get surlier. The food gets worse. And the prices go up. I never thought I'd say this about the restaurant that, even a year ago, made me wax poetic about truffle ragu and eggplant, the one where I took every single guest who visited, the one I could count on to be easy on the palate and (almost) as easy on the wallet. But Taverna dei Fori Imperiali has, it seems, taken the same path as countless Roman restaurants before it. The seeds of demise probably were planted back in 2006, when Frank Bruni wrote it up in a glowing restaurant review for the New York Times. (A "real find," he wrote). The taverna started doing so well that it changed locations, moving into a tonier and bigger spot (like the old place, right across from the Forum). Other reviewers started writing it up, too, including myself — I included it as a pick for lunch my article for the Guardian last summer, "Eat Like a Local in Rome." When that article came out, the food was still great, the price still good, and the place was still packed nightly with lots of tables of Italians. (Almost always a good sign). But over the next few months, the menu changed. The prices rose; no longer was I shelling out 25 euros for a dinner, but 30. Thirty-five. I could understand that — hey, the place was getting popular — but the pastas, usually so delicious, seemed to lack a certain something. Still, I had to give them credit: I never saw the restaurant without Dad cooking in the back, either his son and daughter serving clients themselves, just like always. In the meantime, the restaurant climbed to nearly the top of Tripadvisor. That's when things really seemed to change. So, after a couple more mediocre meals there, I went back again last week. It was one last shot. I still felt like I could almost taste that first ragu I'd had here. Trust me when I say it was a taste worth fighting for. It was lunchtime. There wasn't a single table of Italians. While the son was in the restaurant, we were served mainly by waiters I didn't recognize; the daughter was nowhere to be seen. And Dad? He was still there. But, in all my meals there, it was the first time I'd ever seen him in "civilian clothes," without his chef's hat. Nor did I see him enter the kitchen once throughout our entire meal. Needless to say, not having the same cook, the one who before had seemed so proud of making his creations personally, is a big change. And, of course, chefs don't remain chefs forever. They train new cooks. They move on. They retire. It's understandable. But here's the thing: This was a change we could taste. And it wasn't good. My companion and I ordered a starter of liver patè. The patè was fine… the toast it was slathered on, burnt. The cost? Eight euros. Well, on to the pastas, always Taverna's fortè. Portions seemed to have shrunk. The main menu's puttanesca (9 euros) was fine, but nothing particularly special. I had a carbonara that was served lukewarm, salty, and seemed to be swimming in liquid — uncooked egg? Fantastic. Not the worst food, or even the worst carbonara, that I've had. But definitely not great, especially for 13 euros. The bill — which came with a receipt only when we asked, and not with a smile — with water, no wine, came to about 18 euros each. Not terrible. But not worth it. It's a sad tale. But I share it because it's also a cautionary tale. And I think we can all learn from what it tells us: If you're visiting Rome and trying to figure out the best local places to eat, don't rely on TripAdvisor, don't rely on guidebooks, and don't even rely on articles written more than 6 months ago. As even Anthony Bourdain said in his "No Reservations" Rome episode, to "out" a restaurant as being good, to expose its brilliance to the masses, is to kill it. And in Rome, that happens quickly. So quickly that you have to let go of that memory of aromatic, delicious, heartstrings-pulling ragu… and go in search of a new favorite restaurant to replace it. Unfortunately, pretending to give you a free rose or a designer jacket aren’t the only ways that Rome’s scam artists try to get tourists’ money. Some of the crimes are worse — and much more dangerous. Again, these last five scams, especially, are very unlikely to happen to you on your travels. 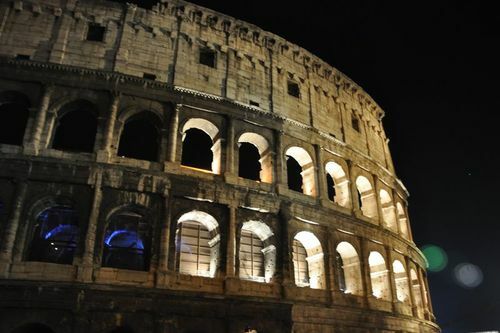 Rome is a very safe city. And while I’ve heard of #5 and #4 happening to friends of friends, those after that, thank goodness, have never happend to me or anyone I know. That said: It’s always smarter, obviously, to be aware. 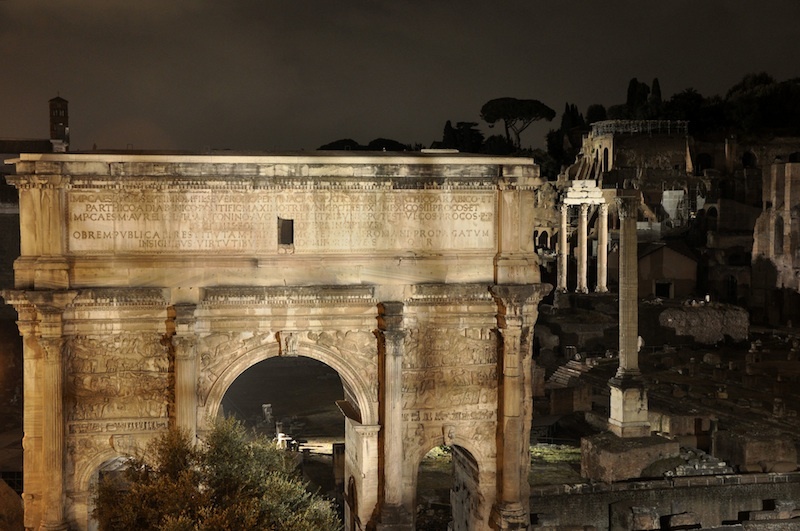 Here, the last five — and some of the scariest — of Rome’s top scams and crimes. 5. ATM fraud. You use an ATM to withdraw money — usually, the best way to avoid extra fees. When you get home and check your bank statement, you realize someone else has been withdrawing money, as well. This is getting more common as more and more criminals are figuring out ways to install ATM skimming devices onto the machines, which can capture your account information by using a card reader and a tiny video camera to capture your PIN. Usually seen: Unpredictable. Most likely victims: Anyone using an ATM. If it happens to you: There’s not much you can do, although of course once you file the fraud with your bank, you should get the money returned. The best way to avoid this, though, is to always cover the keypad with your hands when you type in your PIN and to use the ATMs that are inside reputable banks. If it looks like you need to slide a card through a scanner to get into the vestibule, don’t worry — whatever your bank card is will work. Also be wary of any gaps or tampered appearance in the machine, and avoid card readers that aren’t flush with the machine’s face. 4. Any distraction technique. These run the gamut. Maybe you’re at a busy metro stop and someone collides into you. Maybe you’re out at a club and a guy dances up close to you… really close. Maybe a little girl tugs on your pant leg and asks you for help. Either way, by the time you’ve reacted, your wallet is gone. Usually seen: Unpredictable — and, it should be noted, worldwide. Travel forums for Paris and Barcelona are full of them, too. Most likely victims: Anyone who looks capable of being surprised. If it happens to you: By the time it happens, it’s too late. Even if you can chase down the accomplice, your stuff is long-gone. 3. Theft-on-the-move. You’re walking; someone whizzes by you on a scooter and, bam! your purse is gone. Usually seen: Also unpredictable, and also worldwide. This just happened to a friend of mine living in Paris. Most likely victims: Females walking alone. If it happens to you: It’s already too late. Just be glad that you weren’t hurt in the theft; the force can cause broken arms and collarbones. 2. Drugging and mugging. This post on the SlowTrav forum was the first I’d heard of this, but it’s pretty scary. Usually, it unfolds in a “befriending” scenario: You’re alone at a train station, restaurant or bar, someone starts chatting with you, gets you a drink, and before you know it you’re passed out because of the drugs they’ve laced the drink with. When you wake up, your valuables are gone and you may have been sexually assaulted. It seems the SlowTrav victim may not have even been befriended first, which is even more worrisome. Usually seen: In the area around the Termini train station or near the Colosseum, Colle Oppio, Campo dei Fiori, and Piazza Navona. Most likely victims: Anyone, male or female, who’s out alone. If it happens to you: Call the police and, if needed, seek out a hospital immediately. 1. Flat-out assault. 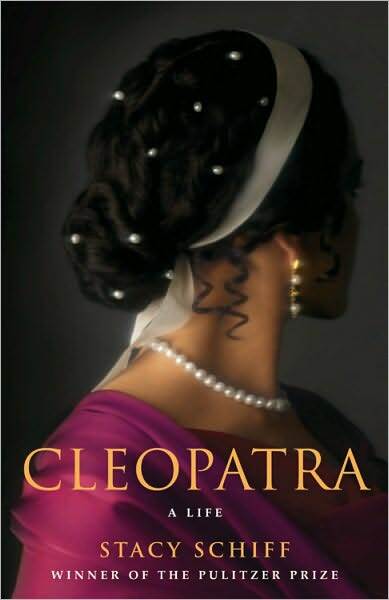 Again, please remember: For a city, this happens very, very rarely in Rome. But you don’t want it to happen to you. Usually seen: In any dark, unlit areas at night. 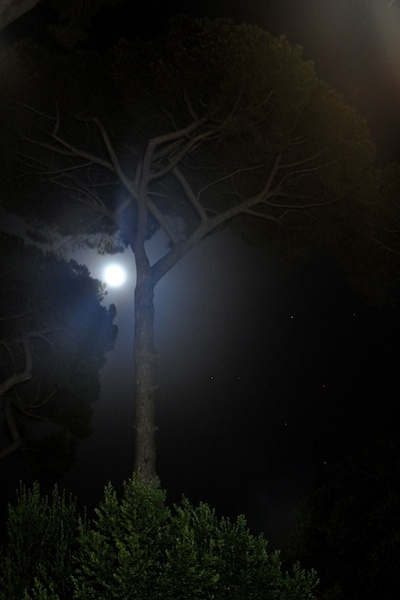 Be particularly wary of parks: I saw the immediate aftermath of one violent mugging (two Korean tourists who had been roughed up and gotten their cameras and wallets stolen) at the Parco di Traiano, the park overlooking the Colosseum, while they’d been (obliviously) taking night shots. (In case it’s not clear, this is not a nice park at night). 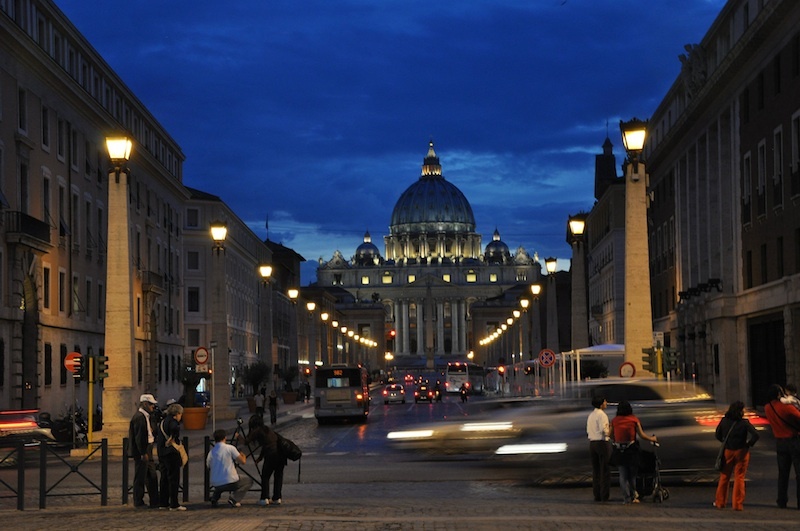 Also be wary of the area right around the Termini train station, Piazza Vittorio Emanuele, or in San Lorenzo. Most likely victims: Anyone, but especially tourists, especially those traveling alone or in small numbers, and especially those who aren’t aware of their surroundings. The takeaway? Don’t be paranoid, but do be aware. Use common sense. And don’t get so caught up in taking pretty photos that you have no idea of what’s going on around you.